Begunahi's scholarship for these four girls includes shelter, board, education and all the amenities necessary to ensure the girls receive a good education, proper nutrituion, and a nurturing environment. Our foundation is committed to caring for these children until they have completed the 12th class, or 10 +2. 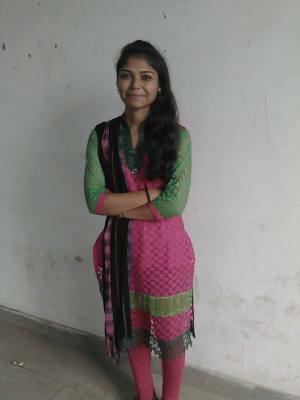 Second youngest of four children, Preeti is pursuing a Bachelor's degree in social work and calls Lucknow home in north-central India. Lucknow is the capital of the state of Uttar Pradesh, and is the 8th most populous city in India. Lucknow sits on the shores of the Gomti River. Hindi is the main language of the city. Preeti is one of founding members of the Red Brigade, a women's organization that serves as a voice against sexual violence. She trains in the art of self-defense and participates in protests, marches, and workshops that promote women's rights and equality. 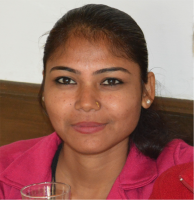 Preeti hopes to secure a positon as a social worker upon graduating from college, and plans to help women and girls in her home city. 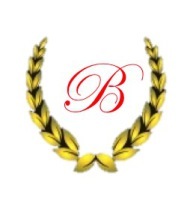 Begunahi's scholarship includes education, books, supplies and transportation for a period of three years. 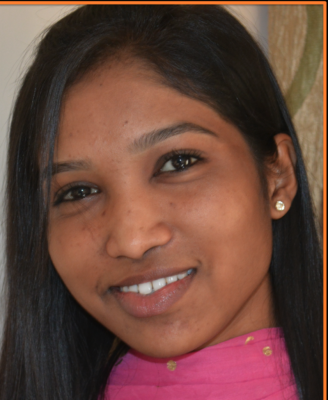 The second of four sisters and a brother, Pooja is pursuing a Bachelor of Science degree in social work. She manages a educational center for underprivileged chldren in her home town of Lucknow in the state of Uttar Pradesh. Many of the children at the center are sons and daughters of laborers. Lucknow stands at an elevation of approximately 123 metres (404 ft) above sea level and covers an area of 2,528 square kilometres (976 sq mi) in north-central India. Pooja, her two sisters and three friends, helped start a women's organization whose mission is to serve as a voice to stop violence against women. She trains in the art of self-defense and participates in protests, marches, and workshops that promote women's rights and equality. 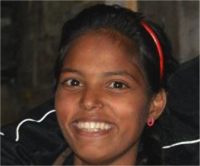 Begunahi's scholarship for Pooja includes tuition, books, supplies and transportation for a period of three years. The second of three sisters and one brother, Artika attends a government college where she is pursuing a Bachelor of Arts degree in the hope of becoming a teacher. Artika also takes computer classes at an institute in the morning and studies English at another institute in the late afternoon. Artika calls Lucknow home in the state of Uttar Pradesh in north-central India. She lives with a younger sister and her parents in the outskirts of the city. Lucknow is also home to the world famous Bara Imambara, a 17th century architectural marvel built by the fourth Nawab of Awadh as a part of a relief project for a major famine that took place in 1784. 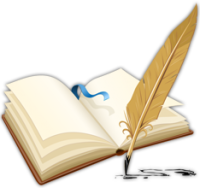 Begunahi's scholarship for Artika includes tuition, books, supplies, communication, and transportation for a period of three years. Asked to drop out of school at an early age, Tephun was just a teenager when she was married to a man many years her senior. Shortly afterwards, she became a mother to a baby boy. When she was in her early twenties, Tephun became a single mother when her husband was tragically killed. Left alone to support herself, her son, and her aging parents, Tephun started making and selling handmade crafts. She also volunteers for a women's organization that helps villagers assert their rights and benefits under India's laws. Tephun calls the north-east state of Manipur her home. To the north of Manipur lies the Indian state of Nagaland, to the south is Mizoram, to the west is Assam, and to the east is the nation of Burma, officially known as the Republic of the Union of Myanmar. Begunahi;s sponsorship for Tephun includes tuition, books, supplies, and transportation for a period of three years. 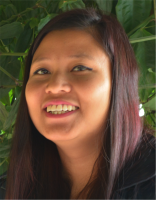 Ngamundar lost her father before she reachd the age of one, and her mother has been the sole provider for the family. Howerver, age and other factors have made providing for the family and for Ngamundar's education very diffcult. Ngamundar's dream has been to become a social worker so she can help others in her community. She is currently working towards a Bachelor of Science degree and would like to pursue her Masters in Social Work upon graduating. 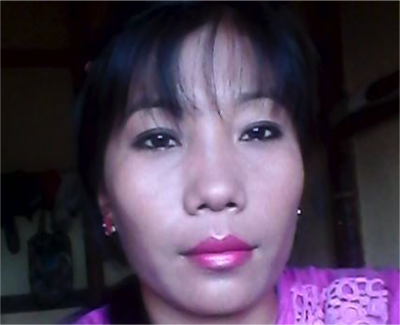 Ngamundar calls the northeast state of Manipur her home. The state covers an area of 22,327 square kilometers or 8,621 square miles and its people include several tribes that speak different types of Sino-Tibetan languages. Begunahi's sponsorship of Ngamundar includes tuition, books, supplies, and transportation for a period of one year. 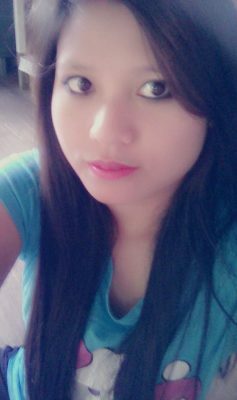 Leishang is currently studying for her Bachelor of Arts degree and she wants to pursue a career as a nurse. Both her parents are aging and her siblings are married and have families of their own and are, therefore, unable to provide fianancial assistance. The famly makes do with less than $600 per year. 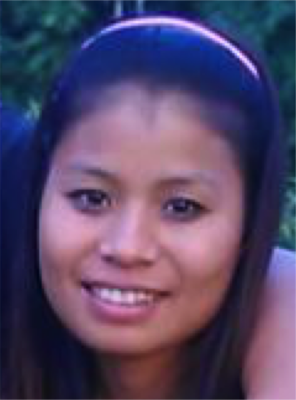 Leishang calls the northeast state of Manipur her home. Manipur has been at the crossroads of Asian economic and cultural exchange for more than 2,500 years. It has long connected the Indian subcontinent to Southeast Asia, enabling migration of people, cultures and religions. Around the 1930s, the state petitioned the British governemnt to make Manipur a part of India instead of Burma. In 1949, Maharaja Budhachandra signed a Treaty of Accession merging the kingdom of Manipur into India. 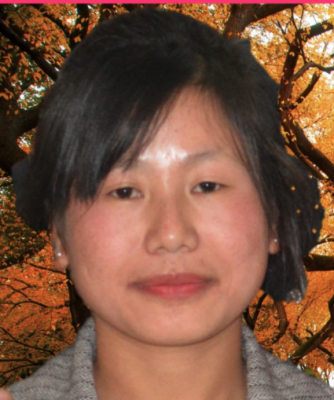 Begunahi's sponsorship of Leishang includes tuition, books, supplies, and transportation for a period of one year. 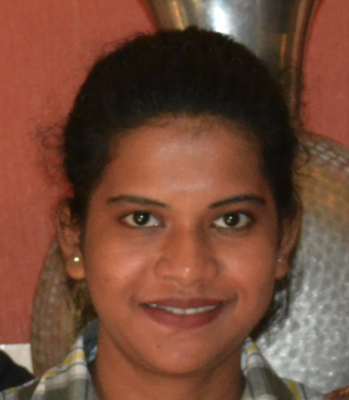 Wanting to become a chartered accountant, Shradhanjali hopes that her college education will give her the opportunity to avoid the economic challenges she has faced her entire life. One of five children, Shradhanjali knows first hand the stigma of being born a girl in a society that places a higher value on boys. 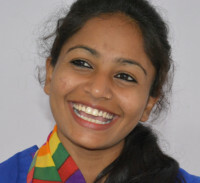 "Education will give me a platform for my future and I hope to a good examle and inspiration to other women in my society," said Shradhanjali. Ms. Garadia calls the state of Odisha her home where Oriya (also known as Oriya) is the official and most widely spoken language. The state experiences three meteorological seasons: winter in January to February, pre-monsoon from March to May, south-west monsoon from June to September and season and north east monsoon season from October to December. 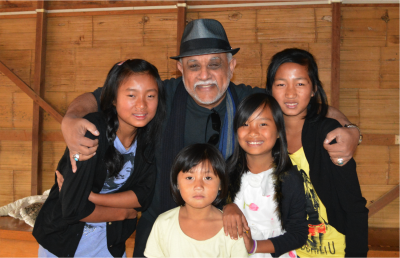 Begunahi's sponsorship of Shradhanjali includes tuition, books, supplies, lodging and meals for a period of three years. 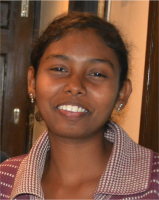 Growing up in one of the most economically improvished districts in the state of Odisha, Prabha has had to face many challenges in her young life. Her one opportunty to attend college came when she received a three-year scholarship from the Begunahi Foundation to attend Jamla College about 20 km from her home district. 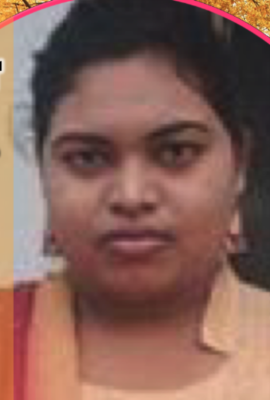 Prabha hopes to earn a Bachelor or Arts degree and eventually secure employment that will help her become independent. Ms. Barik calls the town of Bargarh in the state of Odisha her home. Bargarh is situated on the banks of Jeera river. The state is governed by a parliamentary system where the lower house is called the Lok Sabha with 21 members and the upper house is called the Rajya Sabha with 10 members. 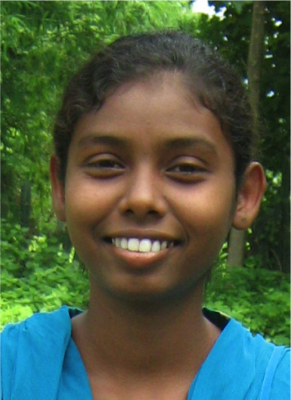 Begunahi's sponsorship of Prabha includes tuition, books, supplies, and transportation for a period of three years.